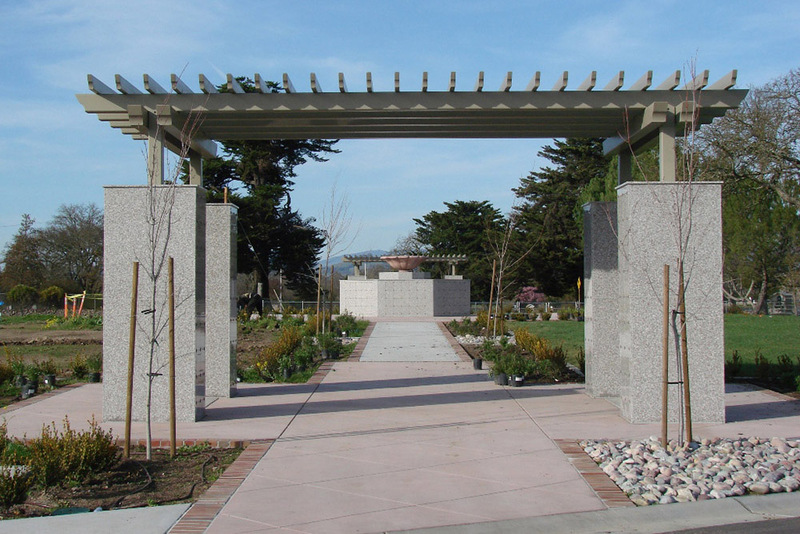 This 40-acre site was master planned by RJM in 2006 for a complete relocation of the cemetery operation over the next 10 years. 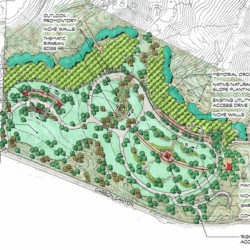 The chapel, mortuary, sales and management offices, counseling rooms, and maintenance support activities are located toward the northwest of the project to take advantage of prominent views and access. 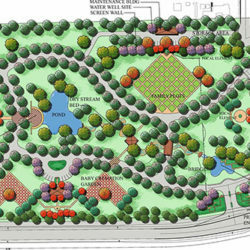 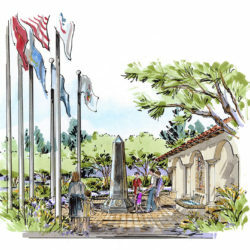 The remaining land will be utilized for interment water features, with beautiful gardens, and fountains or sculptures as the focal points for each sector of the site. 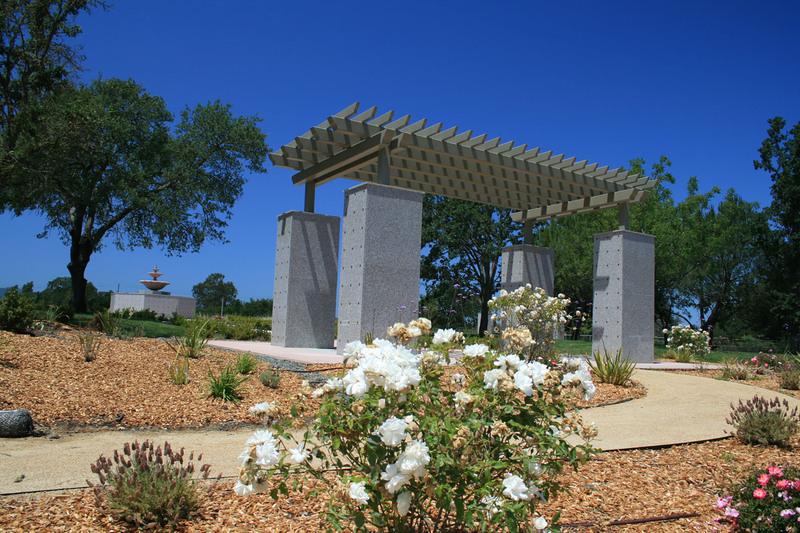 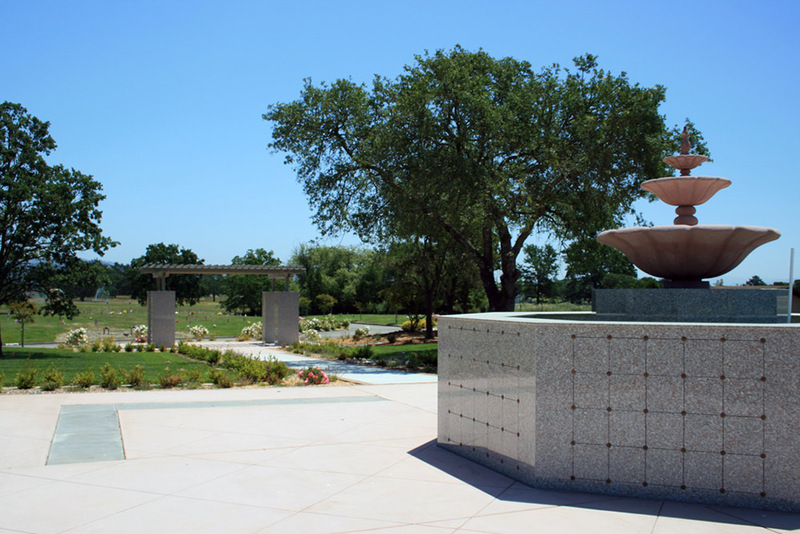 County permits were recently obtained for the first phase of the project that includes in-ground and cremated remains vaults, plaza areas, a large decorative fountain, large steel trellises, granite niches, roads, parking and ADA accessible facilities. 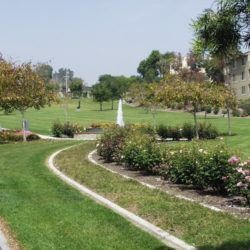 The 2-acre development area, approximately I200 niches and space for 600 in-ground burials, was graded, sodded and irrigated. 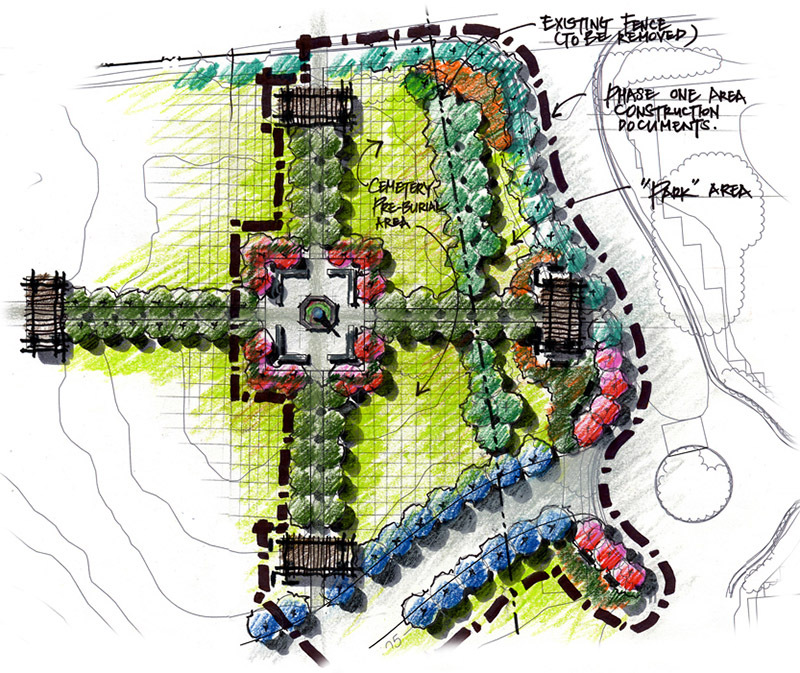 ADA compliant parking, walkways and plaza areas provide circulation for large ceremonies to occur in the new area.